Australia’s first coin-free laundromat is here! Keep your change in the piggybank. We’ve made sure you’ll never run out of coins before a cycle is finished, so say hello to clean and warm clothes fresh out of the dryer! 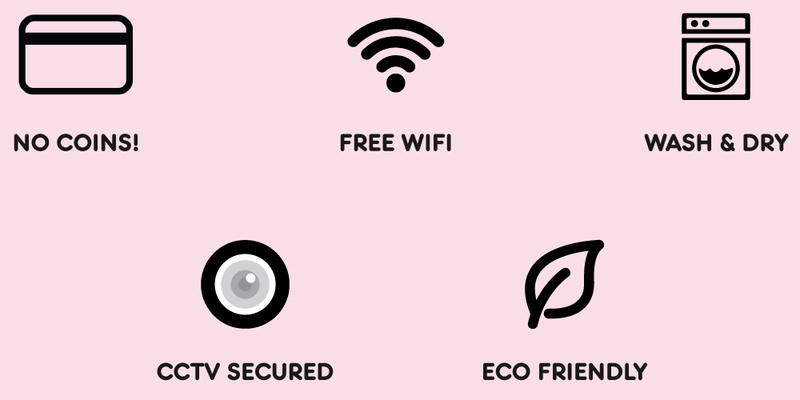 Clean, safe and vibrant environment which makes my washing less of a ‘task’ and more a place where I can hang out with my roommates or catch up on social with the free wifi. Loving the no coins system! Modern payment methods all the way! Feel free to sit back and relax while our eco-friendly machines take care of the dirty work, knowing that you always have someone to watch your back. Want Powder Laundry near you?